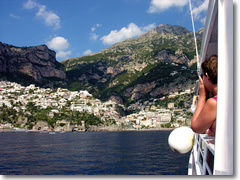 Take a cruise along the Amalfi Coast from Positano.For more info on all seaworthy aspects of Positano: tel. +39-089-871-031, www.portodiamalfi.com. You can rent small boats in Positano—rowboats, paddleboats, and motorboats—from Noleggio Barche Lucibello (tel. +39-089-875-032), right on the main Positano beach. To rent a Zodiac or speedboat with a bit more power (or for a captained excursion), contact Signor Giacchino (tel. +39-338-264-0895 or +39-328-649-4192). Expect to pay about €230 per day, including fuel. Sail the Amalfi Coast with a charter.If you'd rather leave the skippering to someone else, take a cruise-like excursion with a captain. Noleggio Barche Lucibello (tel. +39-089-875-032), on the main Positano beach, runs an all-day boat tour from Positano to Capri, as well as a two-hour tour to the Grotta Smeraldo (Emerald Grotto)—or a half-day trip to the Emerald Grotto along with a swim at Li Galli islets). Entrance fees to the Emerald Grotto (or the Blue Grotto on Capri) are not included. They also run night excursions. Signor Giacchino (tel. 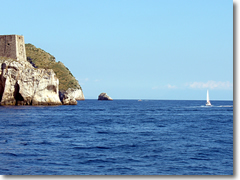 +39-338-264-0895 or +39-328-649-4192) also runs various captained tours of the coast and out to Capri for €150–€300. To charter a skippered sailboat, contact Amalfi Sails (tel. +39-335-645-1400, www.amalfisails.it). Expect to pay €600 per day. You can tour the surrounding coast by kayak with Mariella Di Nocera's Postiano Kayak (tel. +39-339-134-0368; positanokayak.com), with half-day and full-day excursions that leave out of the Stabilimento Pupetto on Fornillo Beach. By reservation only.